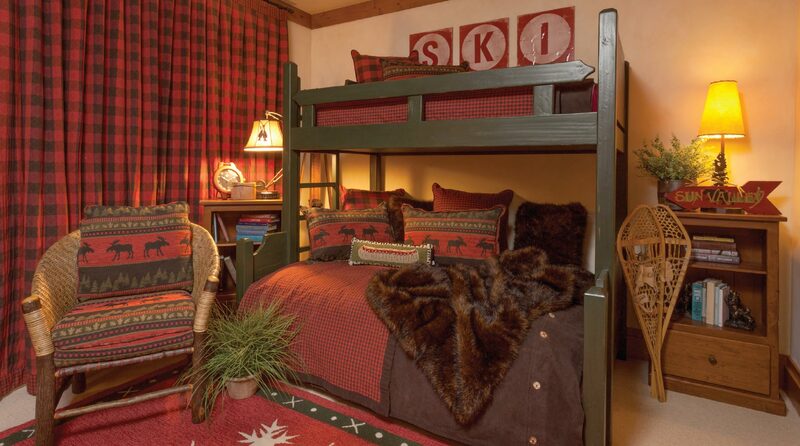 Topnotch Fine Furniture & Interior Design is known for their classic ski style and traditional, historic flair, as one can see by touring their elegantly assembled showroom on Sun Valley Road, in Ketchum. Owner and interior designer Arianne Heyser enjoys seeing clients visit the showroom and walk out with pieces or plans that they love. Whether someone is just browsing for furniture or looking for a full design overhaul, she encourages them to visit. “Furniture is all about experience,” she explains. “The last thing we want is for someone to take a chair home that isn’t comfortable, or order a bed that doesn’t fit them.” Heyser brings to her work a tangible energy and excitement to connect clients with the perfect furniture pieces. 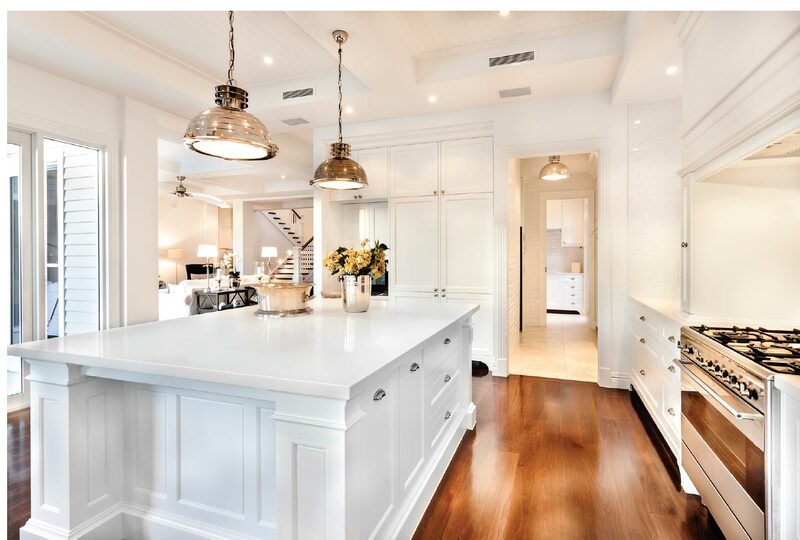 After working in kitchen and bath design straight out of design school, she understands the technical side of filling a space, while getting the enjoyment of working with furniture. “Furniture is the most creative part of design, and I love seeing my clients really have fun with it,” she says. Oftentimes, clients will bring in a specific pattern, color, or style that they love and Heyser and her team work from there. Other times, people get overwhelmed by options, and in such cases, Heyser is happy to take over and guide them. “We usually start with the master bedroom because that’s where people spend most of their time,” she says. They start with the bed. Painted or carved? Wood or metallic? 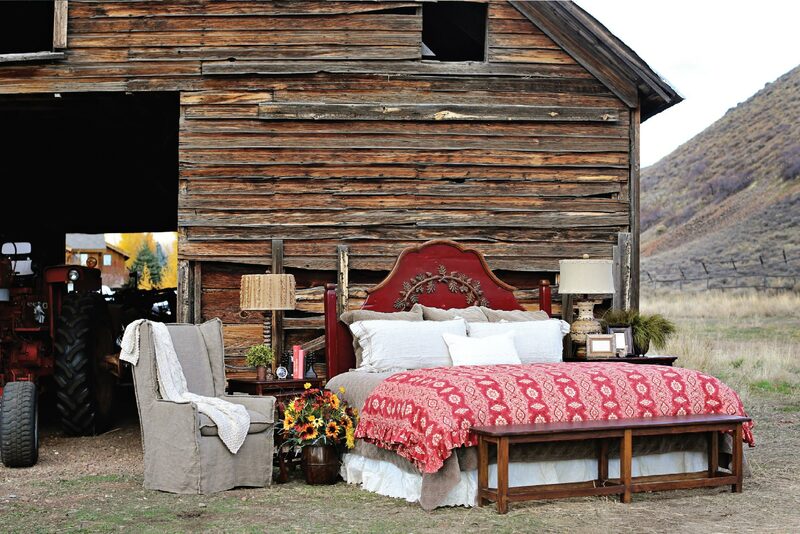 What kind of bedding will best complement the frame? Does the client like fluff or sleekness? How to make your bed, and want to lie in it. Start with the frame. 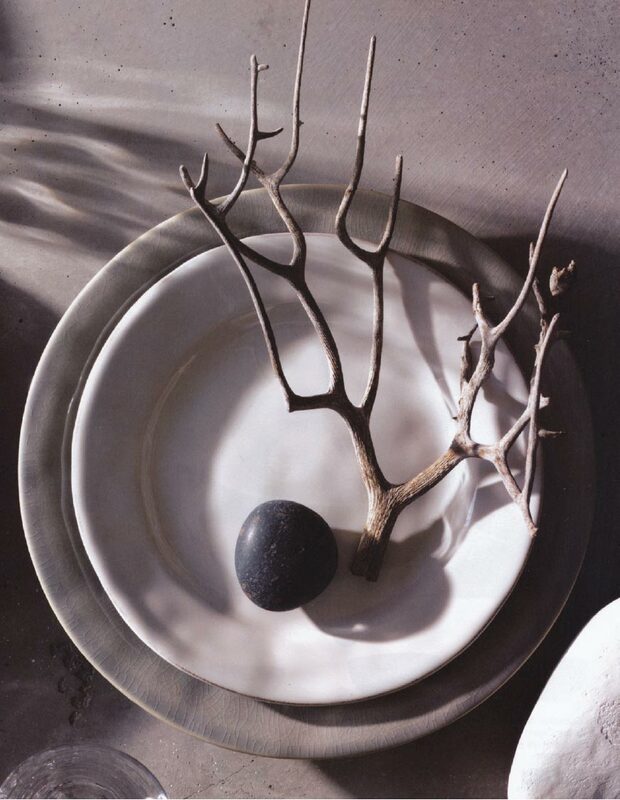 For contemporary frames, choose neutral, quiet linens to emphasize the artwork. If it’s a bed for kids, make sure that it’s sturdy and well made. Always have two to three fabrics on the bed. These can either be different patterns or different textures, but all should be within the same color scheme. These layers include linen, something “fuzzy and lovey,” then a coverlet, printed cotton, then velvets. 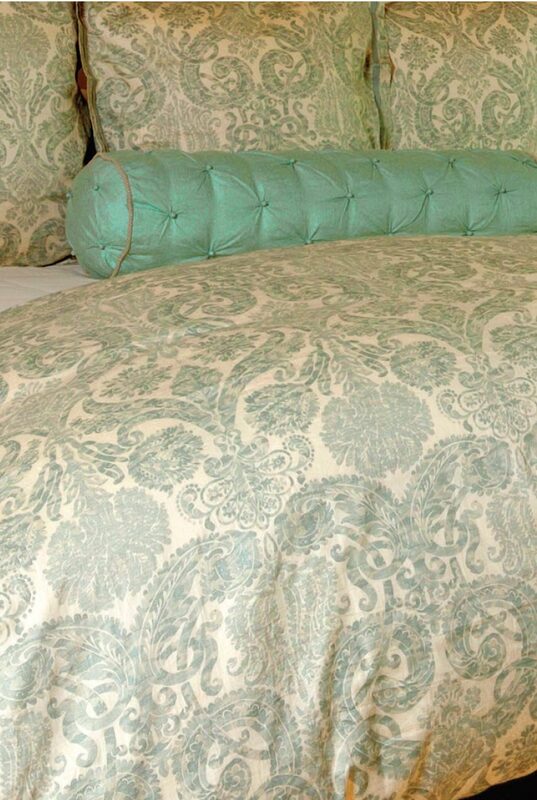 When you make the bed, fold the layers so that you can see each layer working in conjunction with another. Organized, yet inviting. 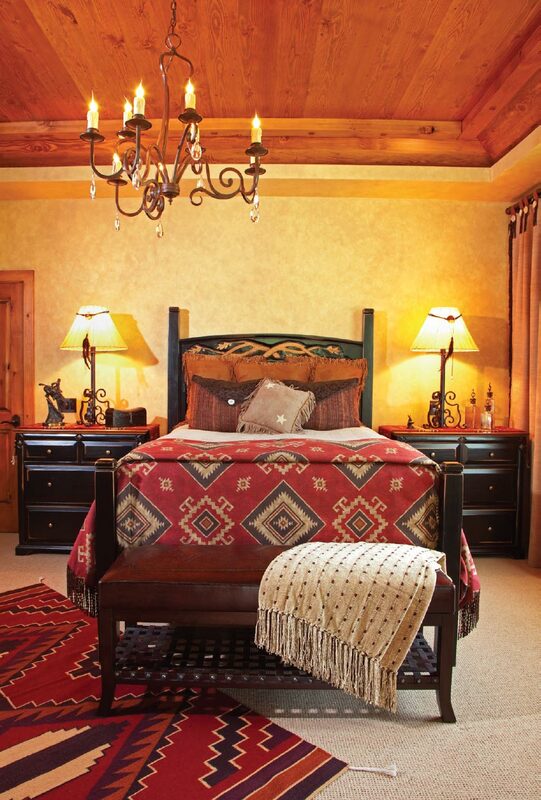 Finish the bed with a throw blanket, in your color scheme, of course. Terry Murphy first found her way to Sun Valley through pure chance and good luck. Formerly a nurse from Los Angeles, she came to the area at the suggestion of a couple of friends to ski, and, like so many others do, chose to stay. After years of working in town, she opened her own store, Bellissimo, to source unique home accessories that represented the artistic diversity of her upbringing. Born to two artists who were well ahead of their time, Murphy found a young passion for selecting and mixing materials, colors, and accessories in a way that spoke to the feeling of a space or event. When clients enter her shop looking for help sourcing pieces for their home, she will walk them through her space and get a feel for how she might best fit their needs. 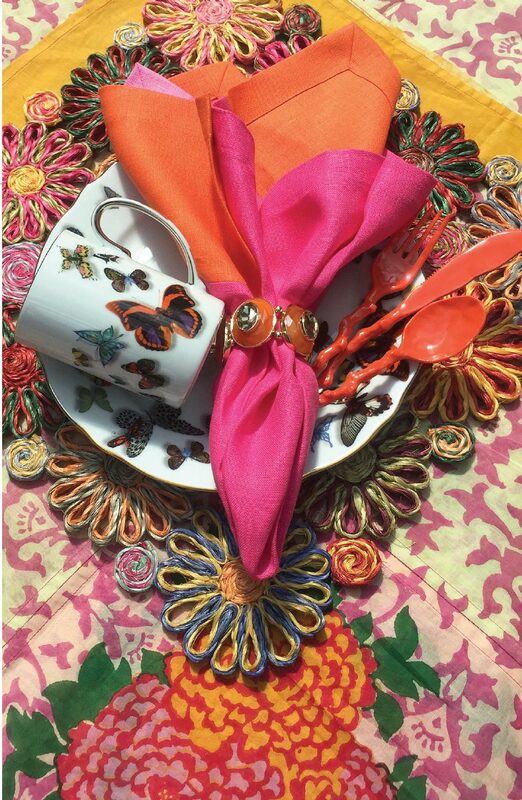 In her own home, Murphy loves accessorizing a tabletop with different-colored napkins and napkin rings, patterned placemats, and plates. She feels that her family conversations (often begun by her grandson) flourish much better over a vibrant tabletop, and she loves helping clients discover the same. 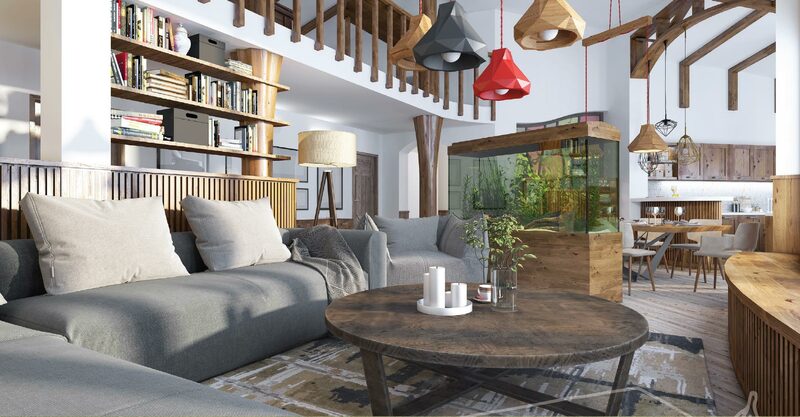 It’s true, if you are choosing something to experience in your home, to light up a conversation, or to make a space completely new and vibrant, it’s best to try it out first in the store. In the case of Bellissimo, Murphy chooses such a wide array of items that clients might be surprised by the creative and fun ideas that come to them in-shop. “I love what I do. I love buying, I love merchandising, I love everything we do here,” says Murphy, who can’t imagine what she would do if not the work she does in Bellissimo. She seeks to continue to create ideas, engage in conversation, and bring people home through art and accessories, beginning with something as simple and powerful as a beautifully curated tabletop. The furnishings of a home are the physical manifestation of a first impression. They are the medium through which we experience the home, our initial glance into how homeowners live their lives. Connie Hagestad and Janet Krogh at The Design Studio in Sun Valley work to make sure that furnishing choices speak to their clients’ personalities and desires, not just the trends. The Design Studio specializes in work for the entire home, but, on the subject of first impressions, Hagestad describes the great room as one of her favorite rooms to design. “I love great rooms and kitchens; there are so many moving parts and I enjoy incorporating soft goods like sofas into a space,” she says. 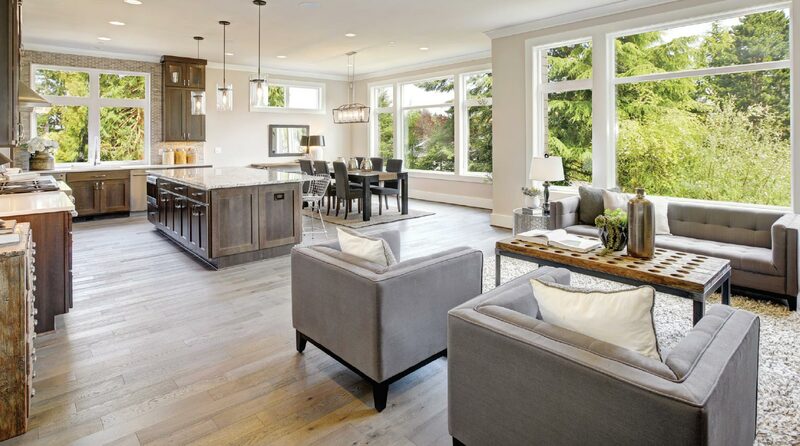 She loves how today’s homes flow from the kitchen into the living area to create an open space for entertaining, cooking, or relaxing. When she meets with her clients, they will often start with a color palette and go forward from there. She says that many clients enter her showroom looking for an “update,” which can mean different things to different people. 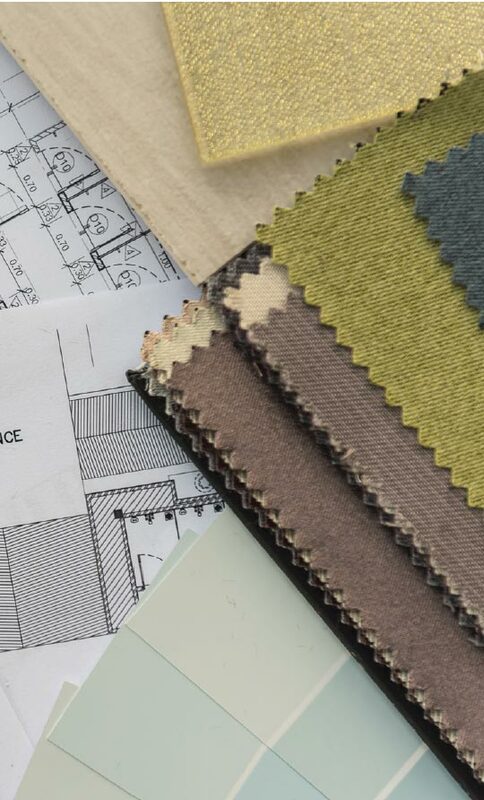 She’s there to guide clients through color, surface, style, and material selection so that the final product reflects something homeowners want to experience on a daily basis. “Especially with something like a room, there are a lot of moving parts,” says Hagestad. A client may need to furnish an entire space, redo window treatments, or add hard installments. 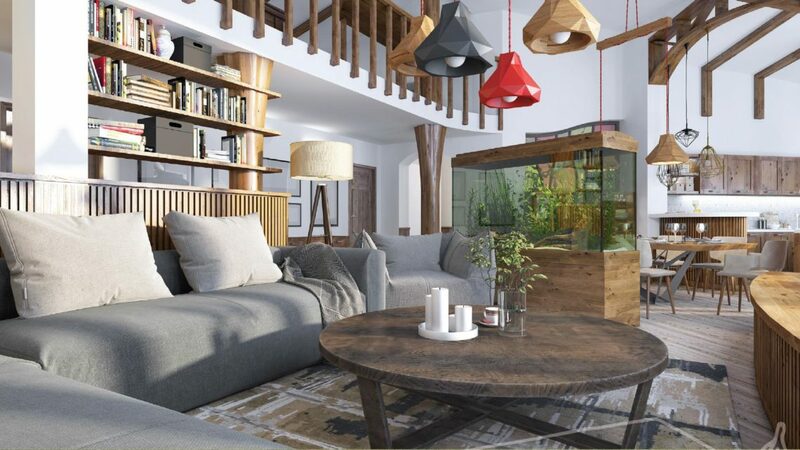 In such cases, working with The Design Studio alongside architects and builders can be the best choice for better teamwork and integrated design. Indeed, there are many directions one can take when furnishing a first impression, but once you walk into The Design Studio, Connie and her team will help you navigate. Often blessed with relatively warm temperatures on sunny snow days, Sun Valley residents thrive in the outdoors all winter long. Why should a little snow stop you from extending your winter home experience into the outdoors? 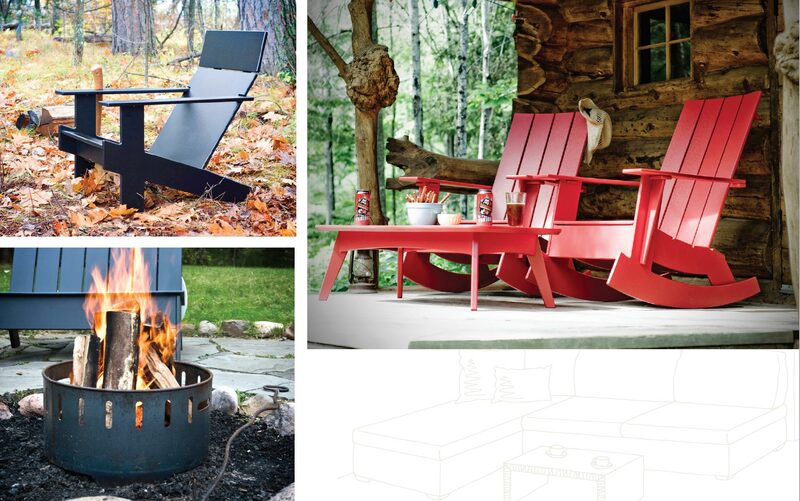 Known for her expertise in furnishing spaces both outside and inside of the home, Heather Newhouse, owner of The Open Room, has more than a few ideas for making the most of outdoor spaces, in every season. 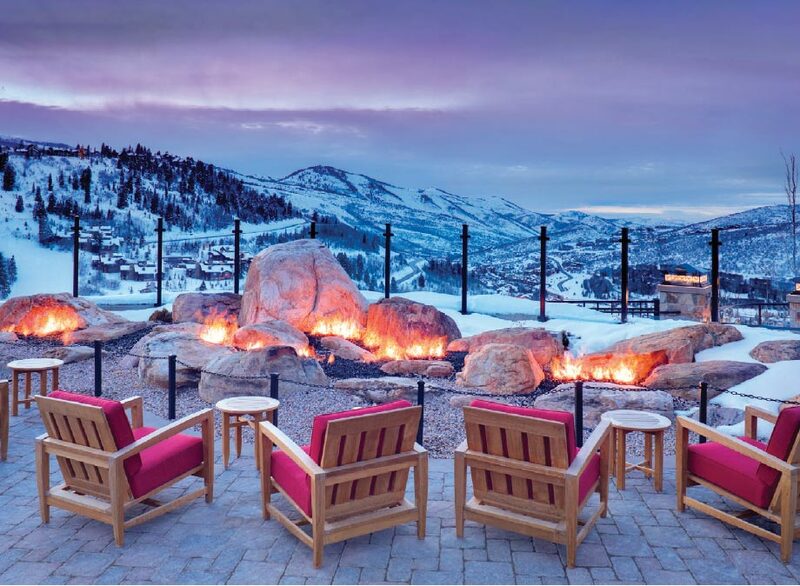 “When you’re done skiing and you’re in your ski gear, you want to be able to go home and sit outside, enjoy an après or warm beverage, and watch the sun go down over the beautiful scenery on a gorgeous day,” says Newhouse, evoking a timeless Sun Valley experience. 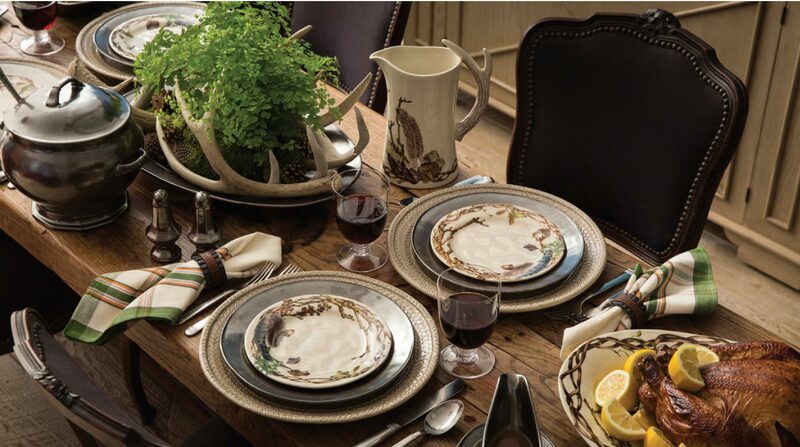 Having lived in the Wood River Valley since 2011, Newhouse has a feel for the taste and character of the area, and specializes in finding the perfect furnishing pieces to suit her clients’ needs. At any given time, you can visit her First Avenue shop and find a historic Ketchum home adorned in all types of indoor and outdoor furnishing and accessories. While it might be quite nice to visit her summer section as a warm weather micro-getaway, her outdoor visions do not end on the warm days. Newhouse seeks to help homeowners extend their spaces outdoors in a meaningful and useful way, all year round. “Outdoor furnishings can often be an afterthought,” she explains. “I will stand in a house and look out and think about how we can carry what people have worked so hard to create indoors to the outside.” Such an extension includes continuing a color palette or design scheme, choosing specific furnishings that don’t compete with one another, and making each space communicate with the next in a way that feels natural and seamless. When furnishing outdoor spaces for the winter, it is especially helpful to start with a covered space. With or without a rooftop, however, the right selection of sturdy materials, warming mechanisms, and artistic lighting will make a deck, garden, or patio enjoyable throughout the season. Lovely, warm light is certainly a requirement for entertaining in the snow. 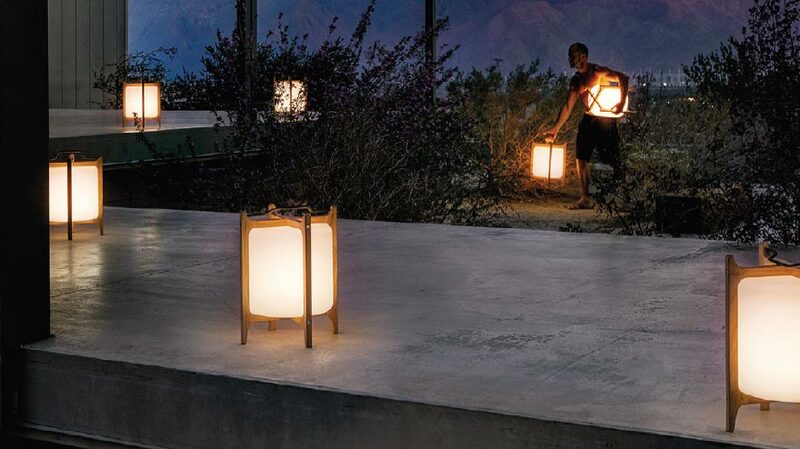 Newhouse supplies several different fire pits, fire tables, and patio heaters to go alongside LED lanterns and light fixtures that can be solar-charged and run on a timer. She also can organize the best configuration of furniture around these fixtures to maximize comfort and durability. She sources select brands like Loll Designs, a Midwestern supplier of high-end furnishings made from recycled milk jugs, which have the style and strength to be left outside all year round.